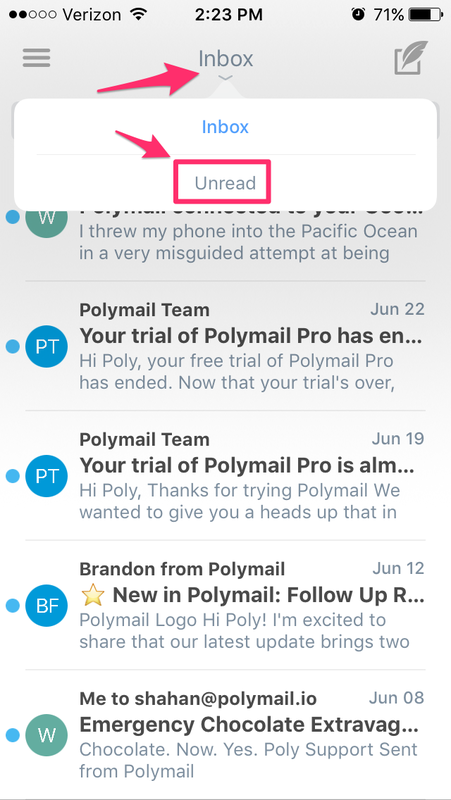 If you'd like to view only Unread email, you can always change your email display from All to Unread only. 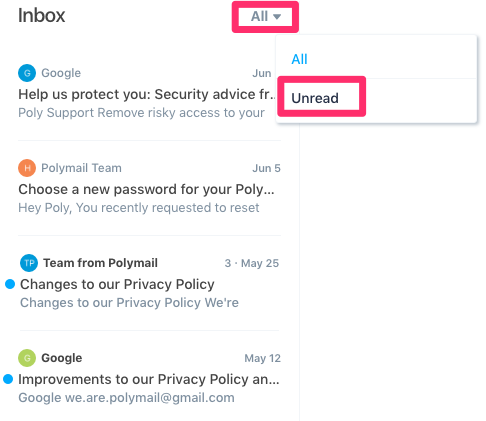 To do that on Polymail Web and our Mac app, you'll find the "All" in the top right corner of your email list and click that to pull down a menu. From there, you can select either "All" emails or just "Unread" messages. You can do the same in the iOS app by tapping the "Inbox" at the very top of the app and selecting "Unread" from the drop down menu.